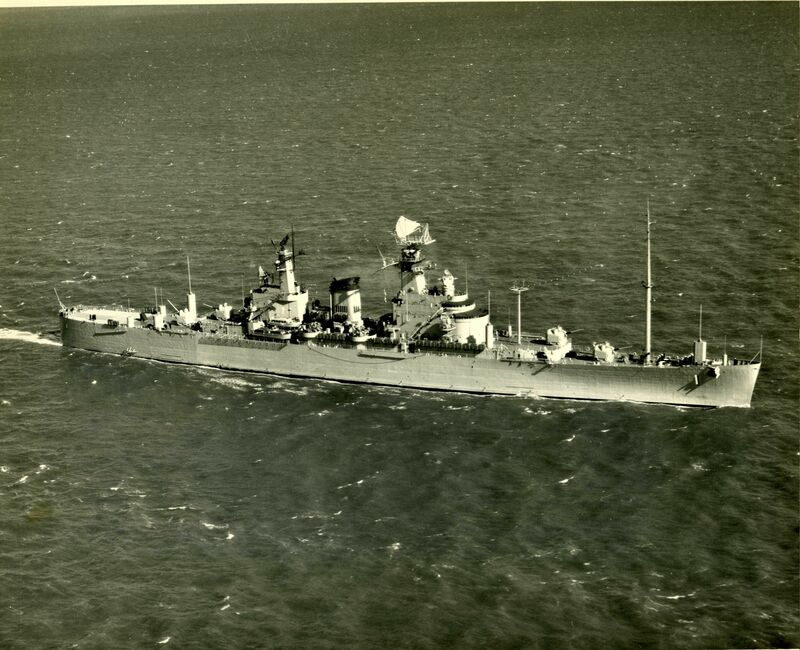 Armor, 6" Belt, 8" Turrets, 2 1/2" Deck, 6" Conning Tower. 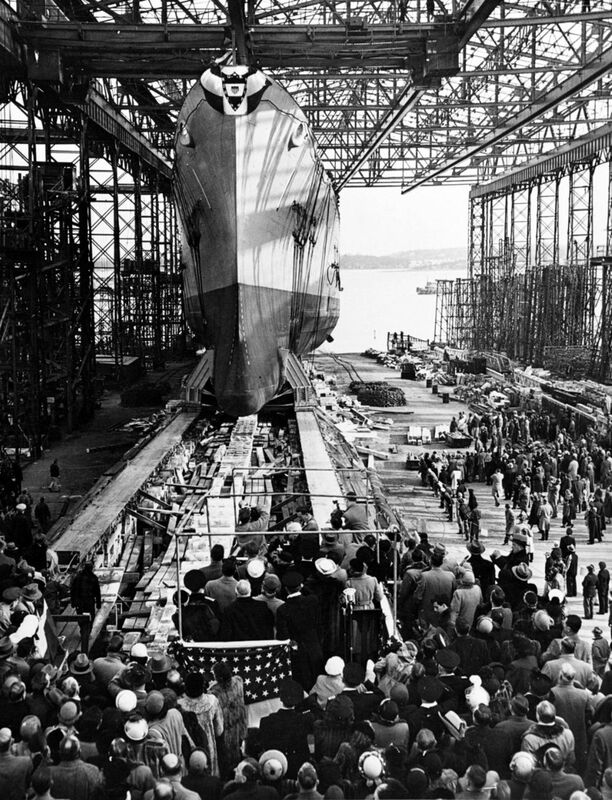 Her keel was originally laid as the 4th of the Oregon City Class but construction was stopped on 12 August 1945, when 56.2% complete. 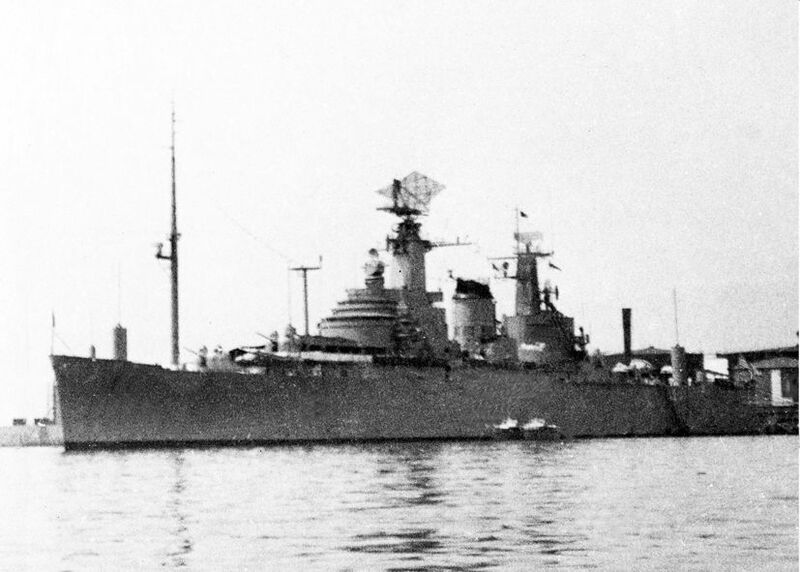 Construction was resumed under a new design, 1 July 1948. 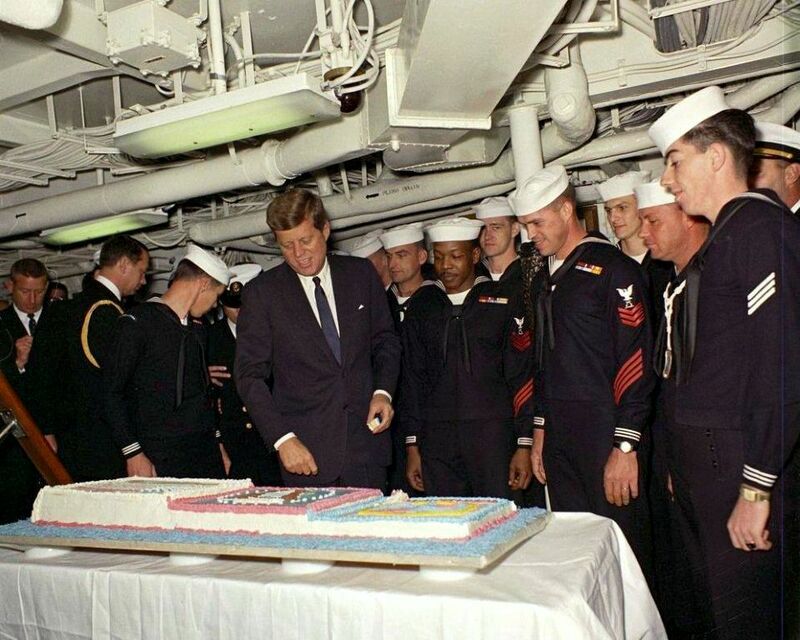 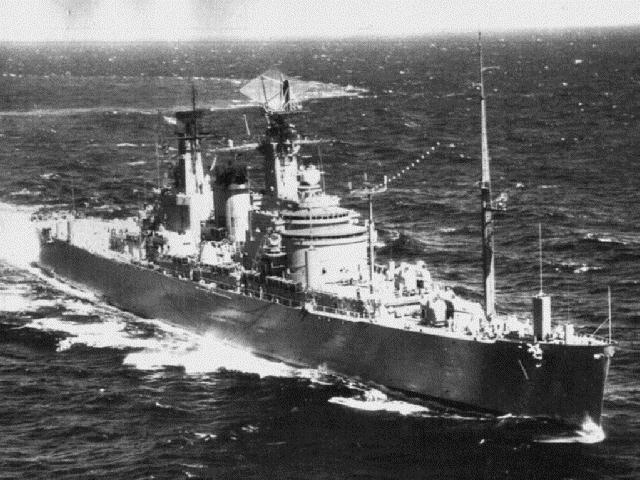 Capable of acting as either a fleet flagship or an amphibious force flagship, she had an extra deck added to her hull for command and control spaces. 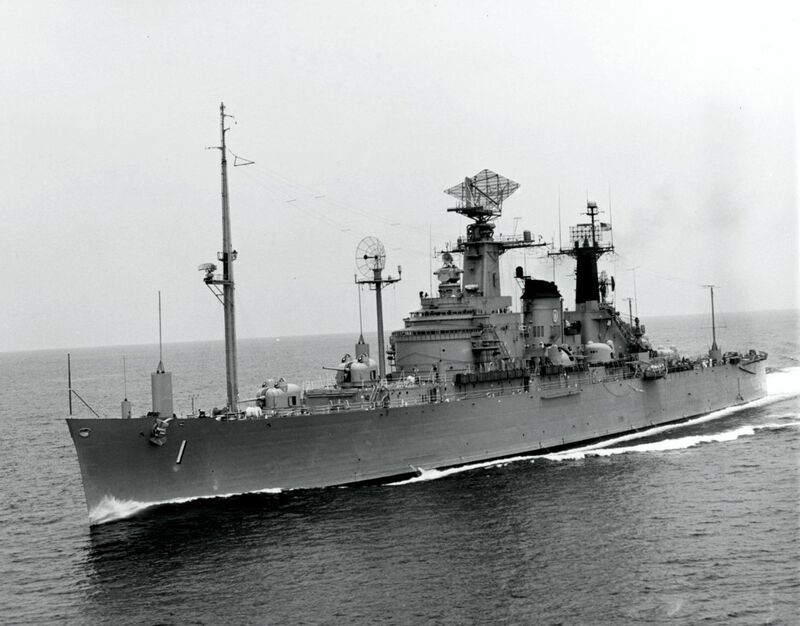 She was converted into a National Emergency Command Post Afloat (NECPA) in 1961. 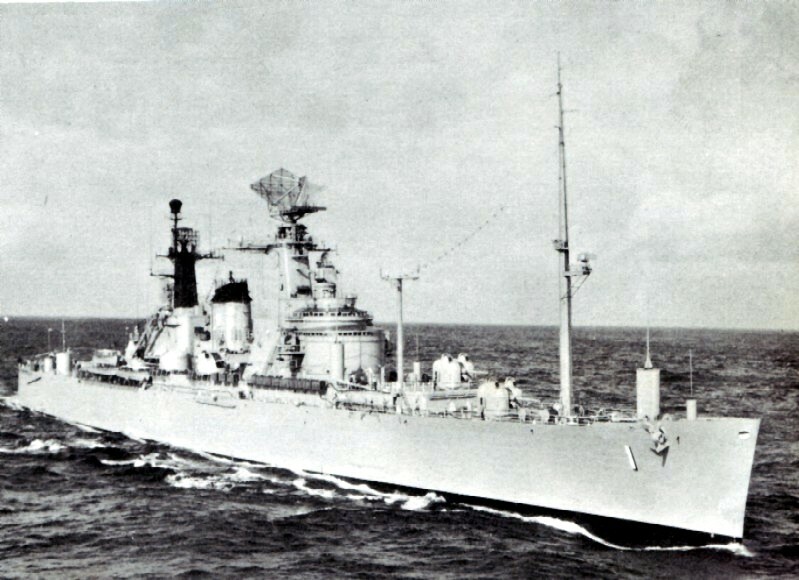 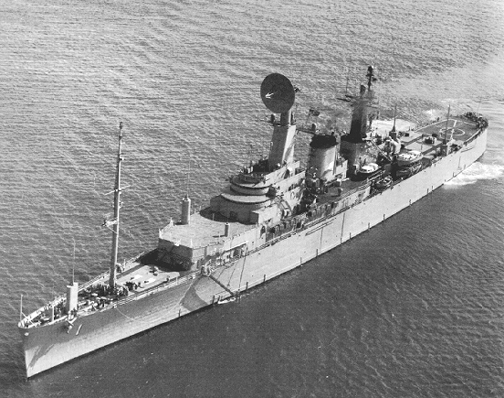 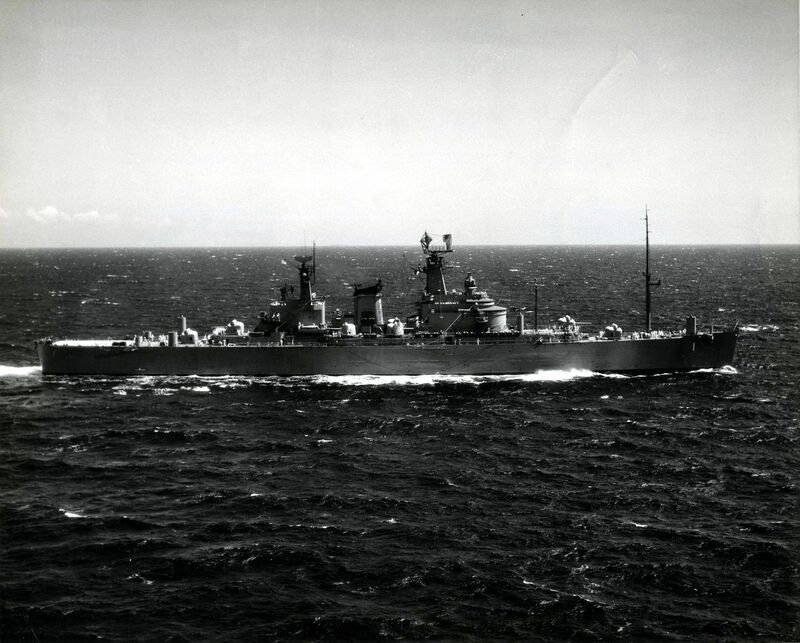 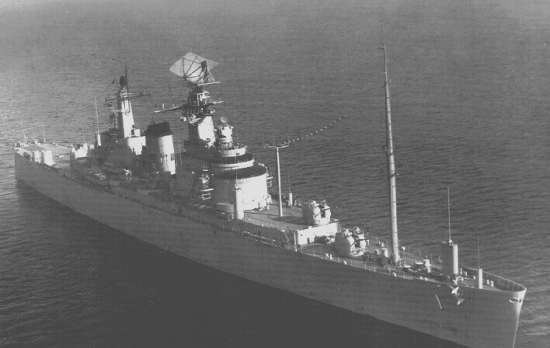 0412517 945k Starboard side view while underway in 1954. 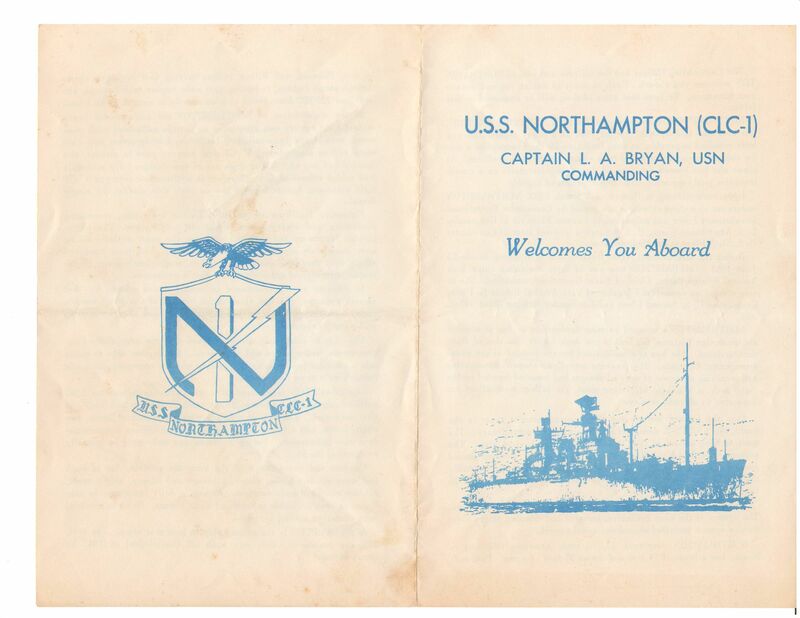 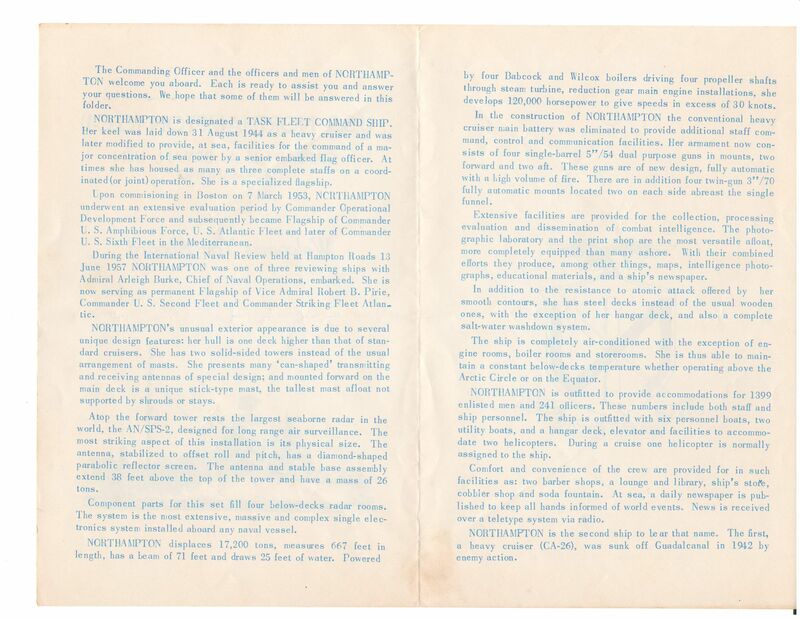 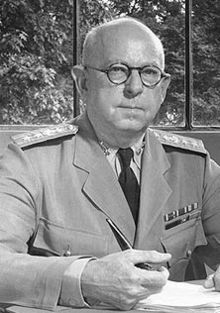 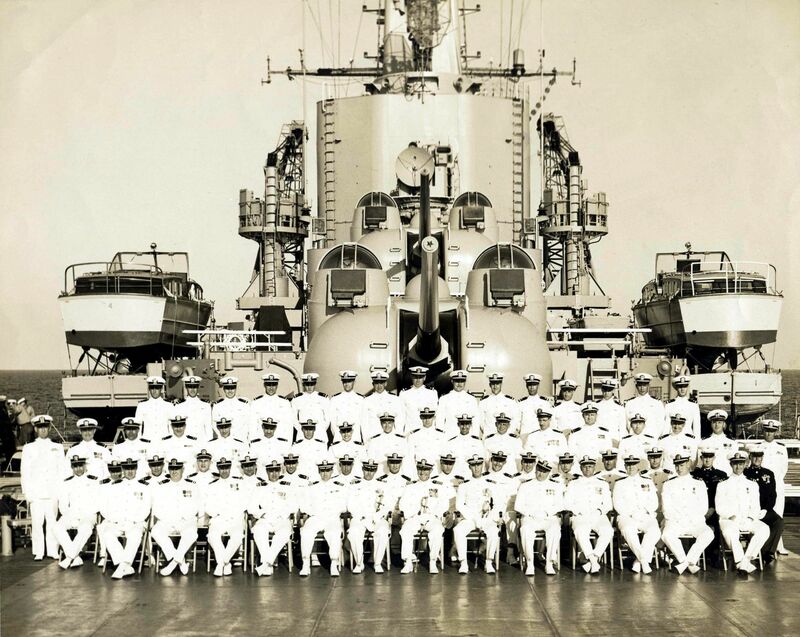 Naval History and Heritage Command, Photo #NH 106503. 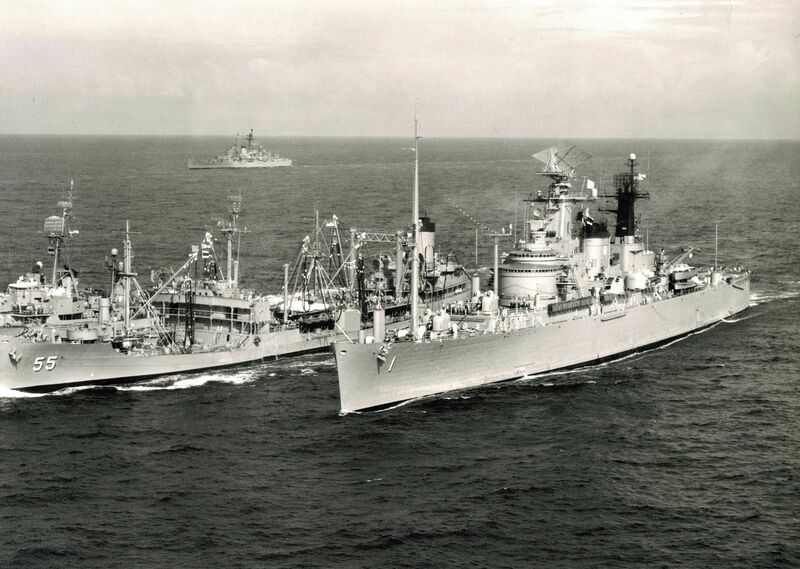 Replenishment at sea between USS Northampton (CC 1) and USS Alstede (AF 48), location unknown, 4 June 1964. 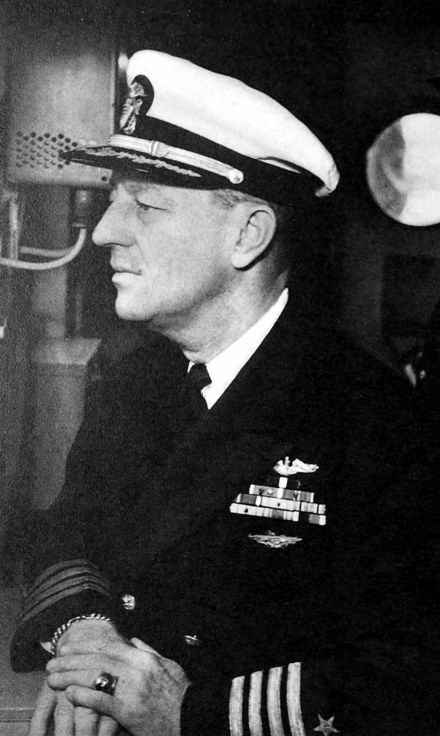 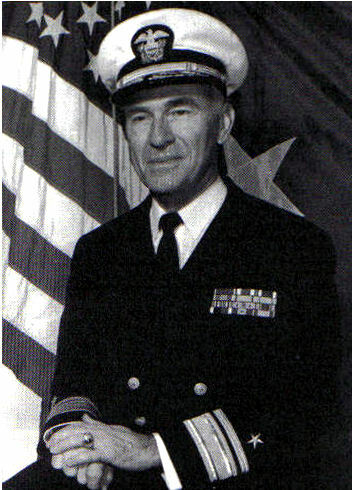 Taken by Knapp, C.F., PH1. 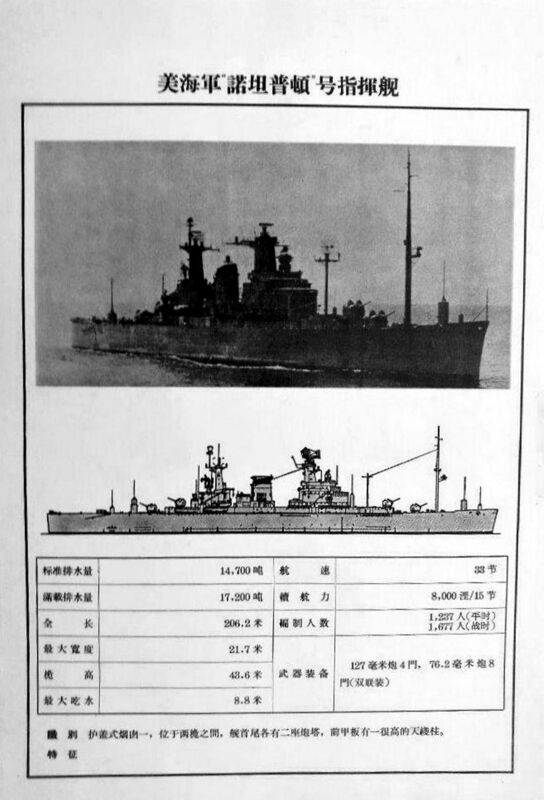 0412526 177k Chinese People's Liberation Army ship recognition poster, circa 1966. 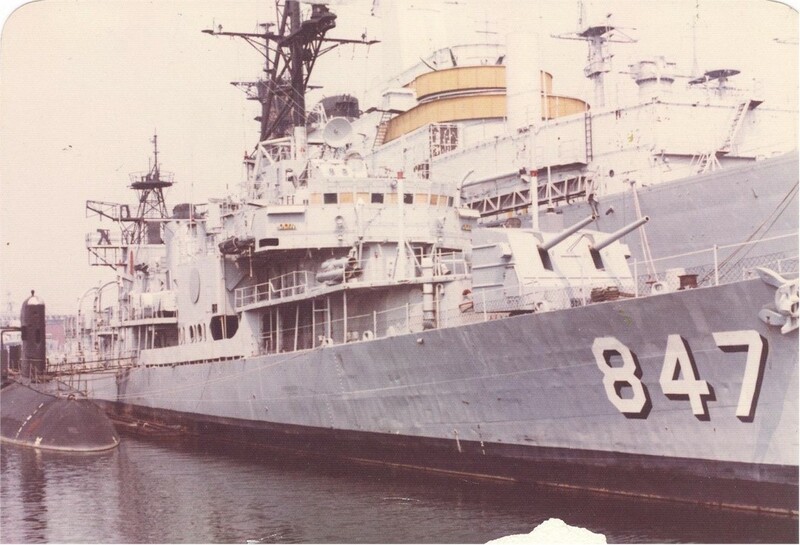 At Philadelphia Navy Yard, July 1976. 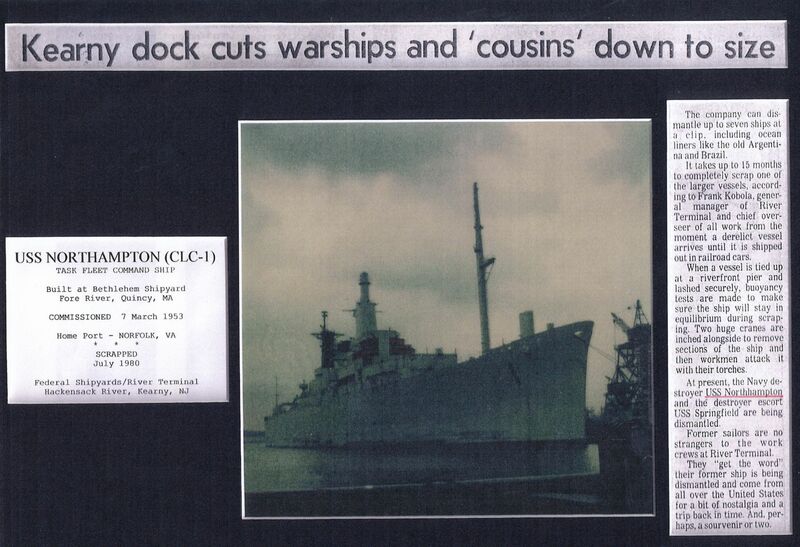 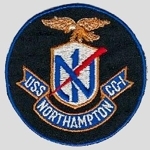 Left to right,ex-Albacore (AGSS 569), ex-Robert L. Wilson (DD 847) and ex-Northampton (CC 1). 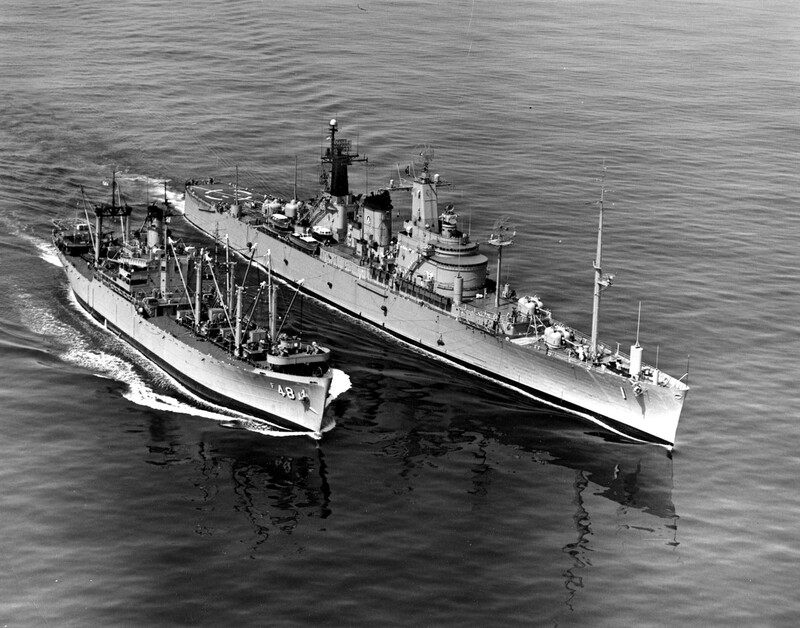 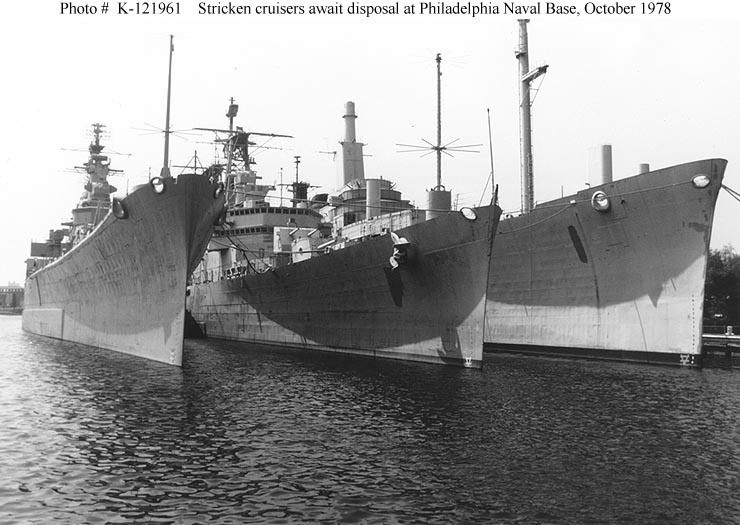 Philadelphia Naval Base, Pennsylvania - Three stricken cruisers await disposal in the Reserve Basin, October 1978. 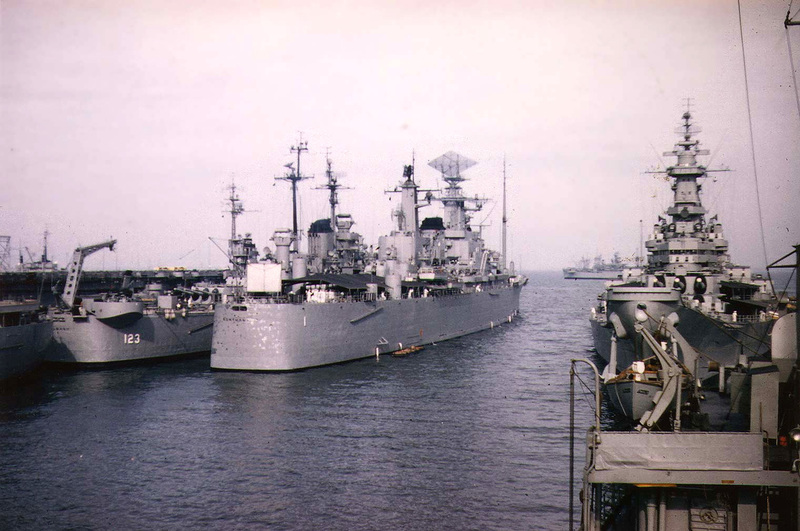 The ships, whose hull numbers have been painted out, are (from left to right): ex-Newport News (CA 148); ex-Springfield (CG 7); and ex-Northampton (CC 1). 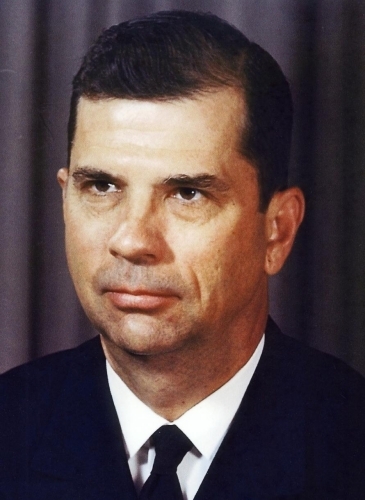 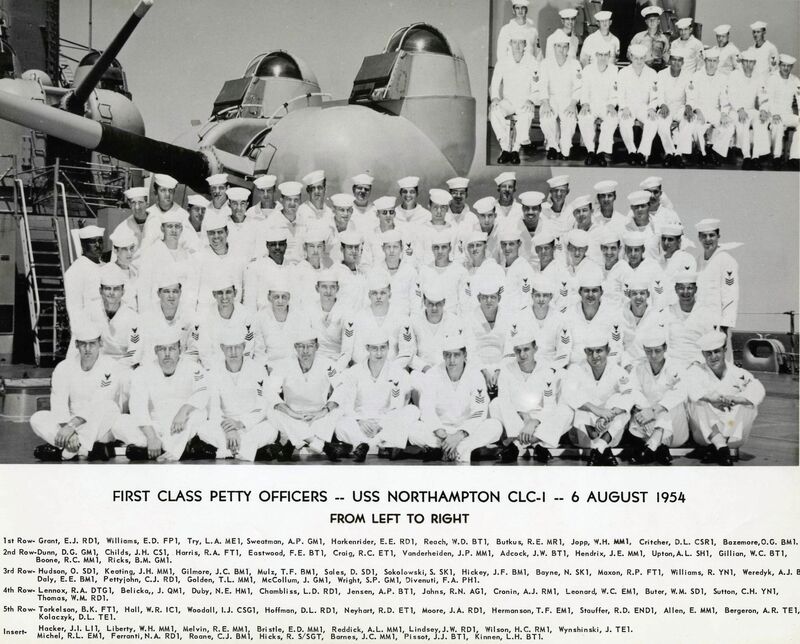 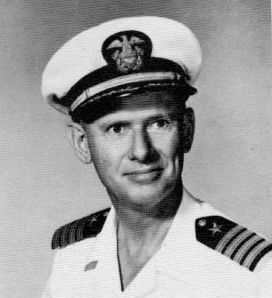 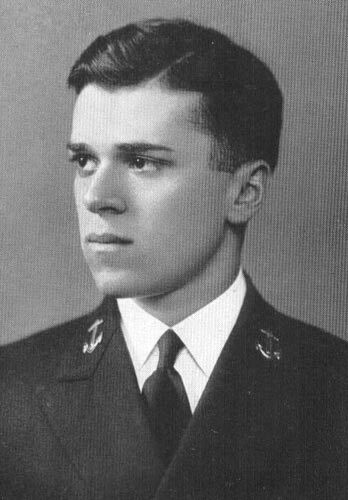 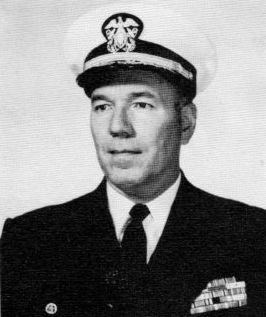 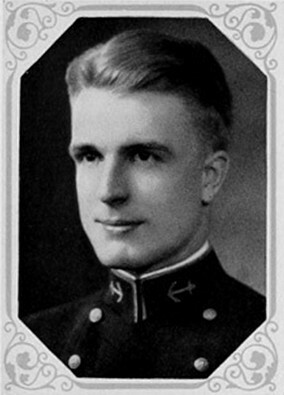 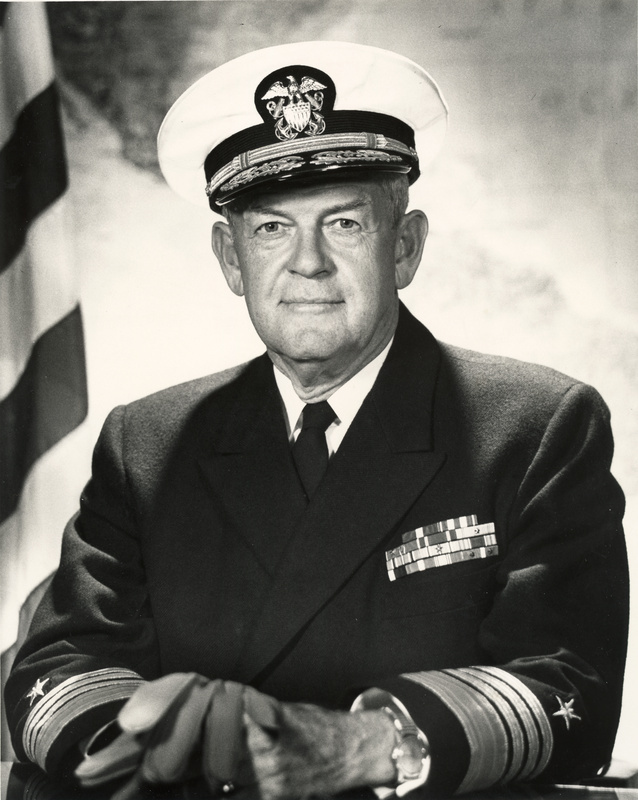 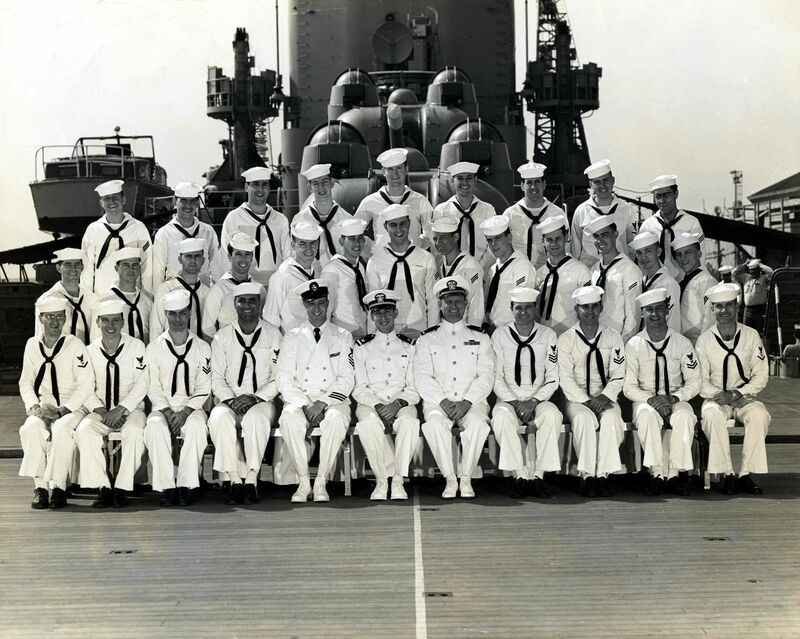 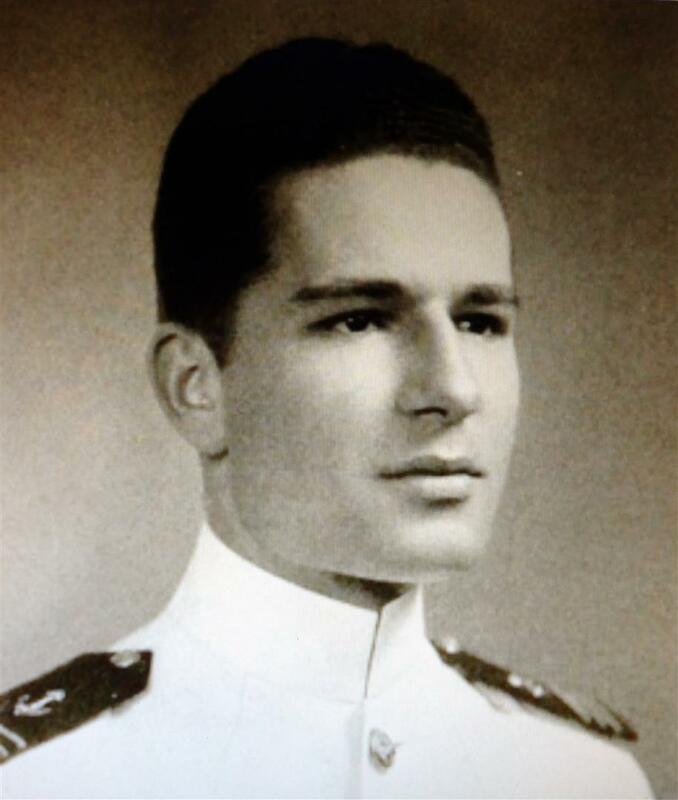 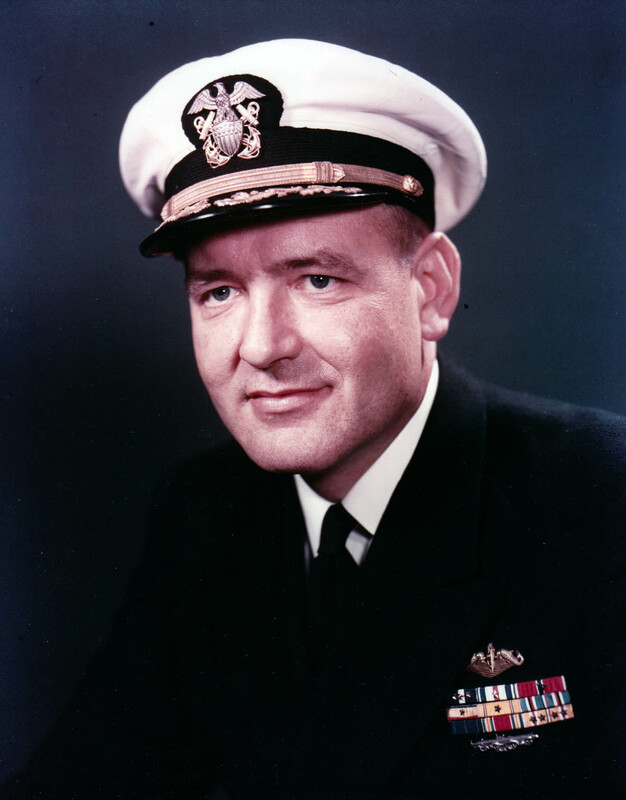 Official U.S. Navy Photograph #K-121961.